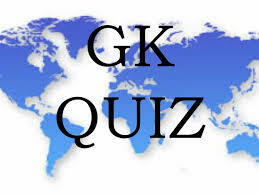 General Knowledge questions on Indian GK for Bank PO, IBPS, Bank Clerical And Indian GK For Railway GroupD,RPF,Rajasthan Police SI 04-11-2018 questions for bank exams, very important computer-related questions for Bank PO, SBI PO, IBPS,RAS, IAS, UPSC, RPSC, 1st, 2nd, 3rd Grade Teacher, REET CTET, LDC, SSC CGL, IBPS, MBA, CAT, MAT, SBI-PO, RBI And Railway, Indian Army And all competitive Exams, and Most expected Computer Question Papers with answers. These Questions are most commonly asked in Other Banking Exam And All subject Wise Notes and Math, Hindi, English, History, Political Science, Psychology, Sanskrit Related Study material. Question(1) Where did Harappan find the evidence of plowing the field in the civilization? हड़प्पा की सभ्यता में हल से खेत जोतने का साक्ष्य कहाँ मिला? Question(2) Where was the decoration of bricks of Indus Civilization? सिंधु सभ्यता की ईंटों का अलंकरण किस स्थान से प्राप्त हुआ? Question(3) Where did you find a big bathroom in the Indus civilization? सिंधु की सभ्यता में एक बड़ा स्नानघर कहाँ मिला? Question(4) Which deity was pictured on the currency of Indus Valley Civilization? सिंधु सभ्यता की मुद्रा पर किस देवता का चित्र अंकित था? Question(5) What other is known as Mohanjodaro? मोहनजोदड़ो को एक अन्य किस नाम से जाना जाता है? Question(6) Which of the animals was scattered over the sticks obtained from the excavation of Indusa sites? सिंधु स्थलों के उत्खन्न से प्राप्त मोहरों पर किस पशु का प्रकीर्णन सर्वाधिक हुआ? Question(7) Which place of Indus Valley Civilization is located in India? सिन्धु सभ्यता का कौन-सा स्थान भारत में स्थित है? Question(8) Which was the oldest old city discovered in India? Question(9) Where can we find proof of silver availability in India? भारत में चाँदी की उपलब्धता के साक्ष्य कहाँ मिले? Question(10) Marda was situated on which river? मांडा किस नदी पर स्थित था?